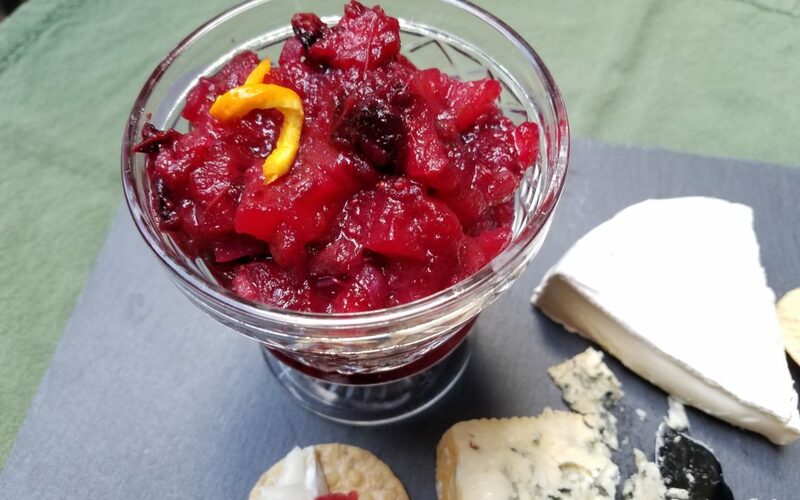 Chutneys are thick, chunky condiments, usually containing fruit and some sort of savory ingredients or seasonings. 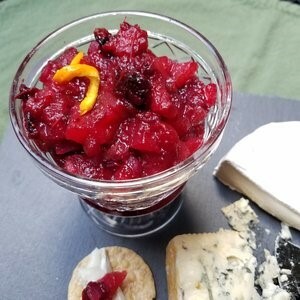 This fruit-sweetened Apple-Cranberry Chutney is a combination of seasonal ingredients and warm spices, making it a tangy accompaniment to poultry, pork, charcuterie, and cheese. For other enjoyable options, add it to puff pastry appetizers, spread it on a sandwich, or puree it into a salad dressing or smoothie. Place the dates in a small bowl and cover with hot water; soak for 20 minutes. Drain, discard the liquid and finely chop. Place all ingredients in a medium saucepan and gently stir to combine. Bring mixture to a boil over medium heat; reduce heat to low, cover and simmer for 15 minutes. Apples should be soft, yet hold their shape and texture, cranberries should have popped and be very soft and sauce should be thick. If more than a small coating of liquid remains, remove the cover and simmer over low heat to reduce excess liquid. Remove from heat and let cool. Chutney will thicken further as it cools. Serve warm or cold. Store in a tightly sealed container in the refrigerator for up to 2 weeks.